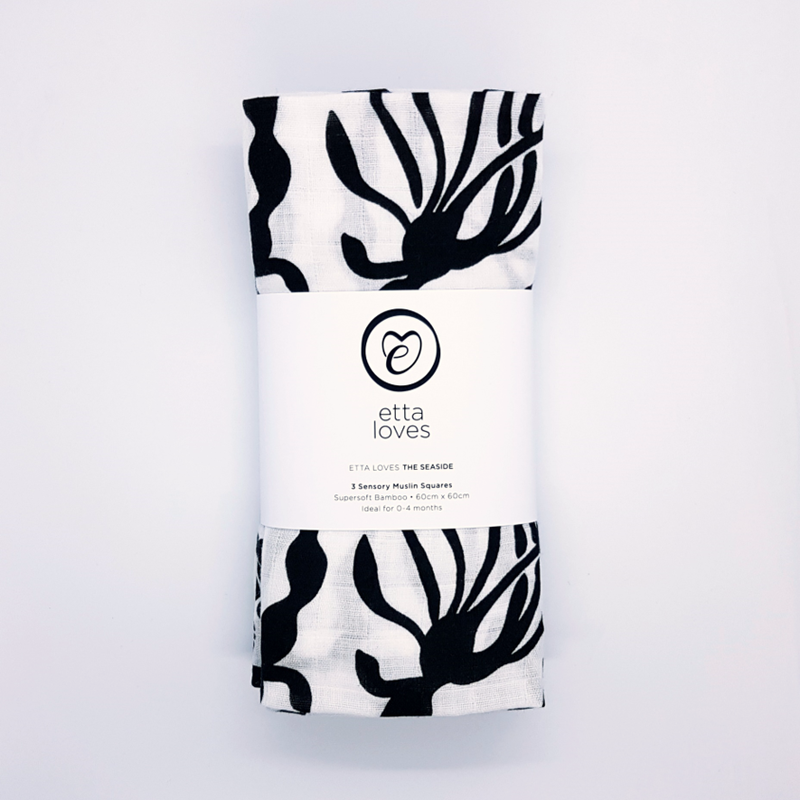 This three pack of sensory muslins has been specially designed by Jen at Etta Loves and her trusty optometrist to support baby's cognitive and visual development. The pack contains three different designs: seaweed, pebble and seagull. Each muslin measures 60 x 60cm.